Brookville Guesthouse is located just over 2 minutes' walk from Tullarmore town centre, which features a variety of pubs, shops and golf courses. Free WiFi access is available, as well as parking facilities for approximately 25 cars at a time. Each room here will provide you with a TV and satellite channels, an en-suite bathroom and tea/coffee making facilities on request. At Brookville Guesthouse you will find a garden and a shared kitchen. Other facilities offered at the property include luggage storage. 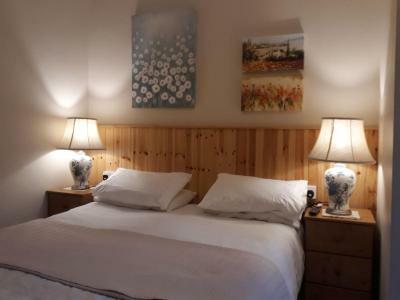 The bed and breakfast is 450 yards from Tullamore Dew Heritage Centre, 6.3 miles from Kilbeggan Racecourse and 1.8 miles from Charleville Forest Castle. Located in the centre of the thriving midlands town of Tullamore, this luxurious 4-star hotel and spa provides a relaxing base for your stay, whether you are travelling for business or leisure. 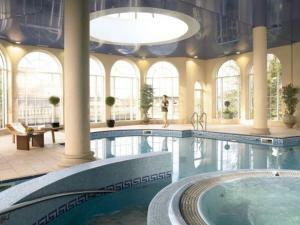 Renowned for its traditional Irish hospitality and extensive facilities, the Bridge House Hotel Leisure Club and Spa provides wonderful restaurants and bars on site, as well as a leisure club complete with a gym, swimming pool, jacuzzi, sauna, steam room and outdoor hot tub. In the surroundings you can enjoy a round of golf or indulge with a visit to the superb shops, pubs and restaurants. 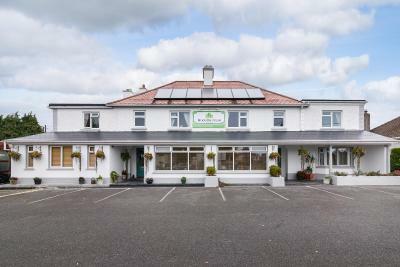 With free Wi-Fi throughout and free parking on site, Gormagh Bed and Breakfast has a secluded location just 5 minutes’ drive from Tullamore Town. A full Irish breakfast is provided every morning. Guests wanting a lighter breakfast can enjoy a wide range of options, because the menu isn’t set – the owners are happy to cater to your tastes. The breakfast room has pretty views out onto the property’s garden. 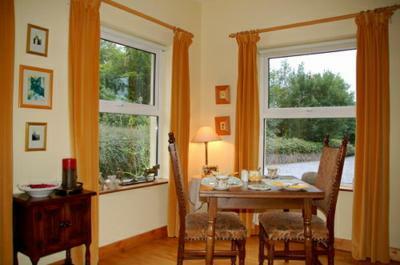 Rooms at Gormagh B&B are light and airy, and each benefits from a TV, garden views, and an en suite bathroom with free toiletries. There is a large selection of reading material available for you to enjoy in the guest lounge. This includes guides to the surrounding area, and activities you can enjoy on your trip. 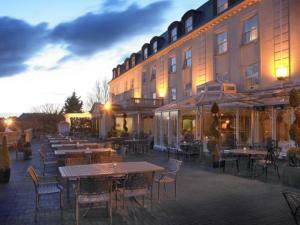 This 3-star hotel is in the center of Tullamore, with bars, restaurants and shops close by. 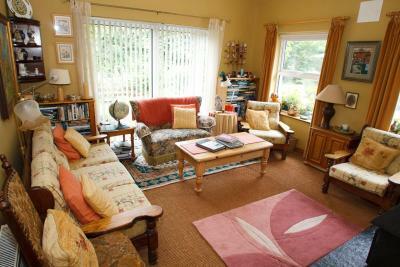 It has free car parking and free internet access for all residents. The Central Hotel Tullamore was formerly the Days Hotel Tullamore. The hotel's bedrooms have a warm, contemporary decor, and a heavenly Hypnos bed. Delicious food is available in O'Malleys restaurant (closed Sundays) and Bar Polo can offer a relaxing drink. There are many great attractions nearby including the famous Tullamore Dew Heritage Centre, 3 golf courses, a rifle shooting range, horse-riding and go-karting. The main train station is a 5 minute walk away. 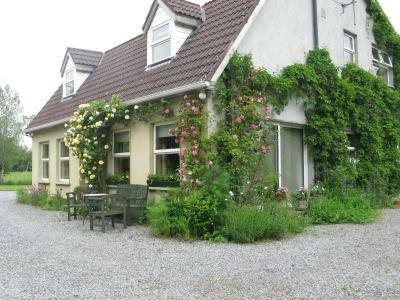 Set 6 kilometres outside of the quite village of Tullamore, Annaharvey Farm B&B is surrounded by farmland, and includes an equestrian centre. The whiskey distilleries of Kilbeggan Distillery and Tullamore DEW Distillery are both within 15 minutes’ drive. The rooms present original features and are classically decorated. They all have an en suite bathroom. A restautant á la carte features typical Irish dishes made of locally sourced produce. Homemade cookies and cakes are available throughout the day. The popular equestrian centre features indoor and outdoor arenas, together with carefully constructed cross-country fences and large farmland trekking area. Qualified and friendly instructors provide lessons at all levels in many equestrian disciplines. 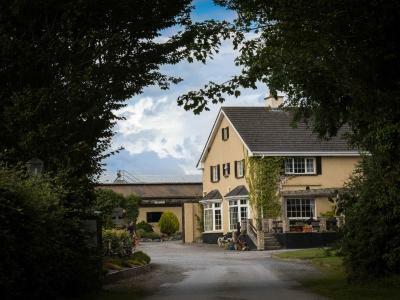 Situated only 20 minutes’ drive from Slieve Bloom Mountain, Annaharvey Farm B&B offers easy access to trekking activities. The historical Charelville Castle, built in Ireland’s most ancient primordial oak woods, is only 10 minutes’ drive away. Close to the restaurants, stores and bars of Tullamore, Tullamore Court offers rooms with private bathrooms, many with a jacuzzi bathtub. There is a restaurant, pool and gym. 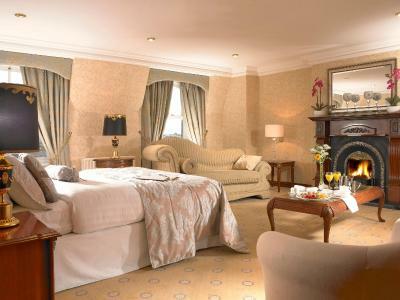 Mixing traditional Irish hospitality with modern luxury, Tullamore Court Hotel has spacious rooms with work desks, TVs and free internet access and toiletries. Free parking is also available. The Windmill Restaurant showcases modern architecture and serves fine Irish and European cuisine. Private dining rooms are available for a more intimate evening and the Lounge Bar has regular live music. The award-winning leisure center features a 22-yard pool, water volcano, steam room and sauna. There is daycare center and vacation club for kids. The gym has weights machines, a fitness suite and an aerobic studio. There are several golf courses nearby including The Heritage, Tullamore, Esker Hills and the world famous K Club. Kilbeggan Race Course is a 15-minute drive from Tullamore.